The Supreme Court today lashed out against vigilante groups in Kerala indulging in culling of dogs and also encouraging the illegal act and asked the state government to take strict action against them including lodging of criminal cases. 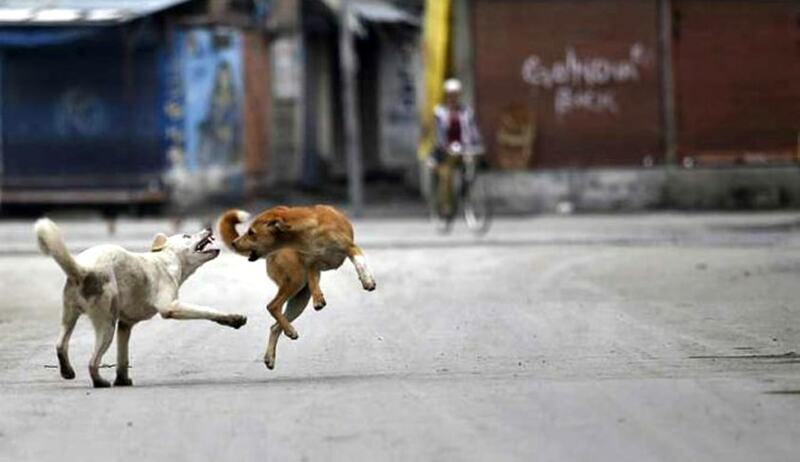 A bench of justice Dipak Misra and justice Amitava Roy also banned imparting of training to the children or distribution of subsidized airguns for people to kill stray dogs or to publically propagate that there is war against the stray dogs. “In view of the aforesaid submission of the learned counsel for the State, we restrain such organizations to impart training to the children or to distribute subsidized airguns for people to kill stray dogs or to publically propagate that there is war against the stray dogs or strangulate the stray dogs or for that matter offer prizes or incentives to those who kill the stray dogs. Needless to say, our directions are not exhaustive but illustrative” said the bench. “In the course of hearing, we have been apprised that despite the orders passed by this Court, Jose Maveli has been constantly violating the orders. There are newspaper items to show that he has publicized the stray dog killing, though Mr. Biju, learned counsel appearing for Jose Maveli submits that he has not done any such acts. Be that as it may, he shall remain personally present in Court on the next date of hearing”, the bench added. “This Court has already appointed a Committee which is headed by Mr. Justice Sri Jagan, former Judge of the High Court of Kerala. The said Committee, namely, “Justice Sri Jagan Committee” shall enquire into the said aspect. Needless to say, the State will be under obligation to file criminal cases, if the situation so warrants. The report of the enquiry shall be submitted before us through the counsel of the Committee, Mr. Gaurav Agarwal so that proper orders can be passed. In the meantime, we are also obliged to note the submissions made by Mr. Biju, learned counsel appearing for an intervener and the respondent no.5 appearing in person that stray dogs have attacked the women and children as a result of which the human life is in danger. In the earlier orders, we have already directed the State of Kerala and other authorities that they can go for culling as per the provisions of the relevant Act and Rules”, said the court. Kerala’s stray canine menace came into sharp focus in the Supreme Court on October 20 with the bench expressing surprise at increasing complaints regarding the extent of the dog bite menace in the “god’s own country”. "Why does Kerala have such a peculiar dog bite menace. I have been to several states. In Orissa the dog bite incidents are rare. In Assam it is rare. Why is this dogbite problem so concentrated in Kerala? Why does Kerala have such a peculiar dogbite menace. We need to know," Justice Dipak Misra heading the bench had asked. The sharp remarks came after the bench perused a 12-page report filed by a committee appointed by it headed by former Kerala High Court judge Justice S Siri Jagan which warned that the "excessive" stray canine population will continue to pose "very serious threat" to public safety unless brought down to "manageable level".